Down at platform level, Lawrence Station shares similar design features with York Mills. Just like the station next to it, Lawrence has the same angled pillars and round benches, only in a different colour scheme. Heading upstairs, however, leads to a drastic change in the station's design. The path to the street exits and busses reveals an impressively wide chamber of stairs and escalators. 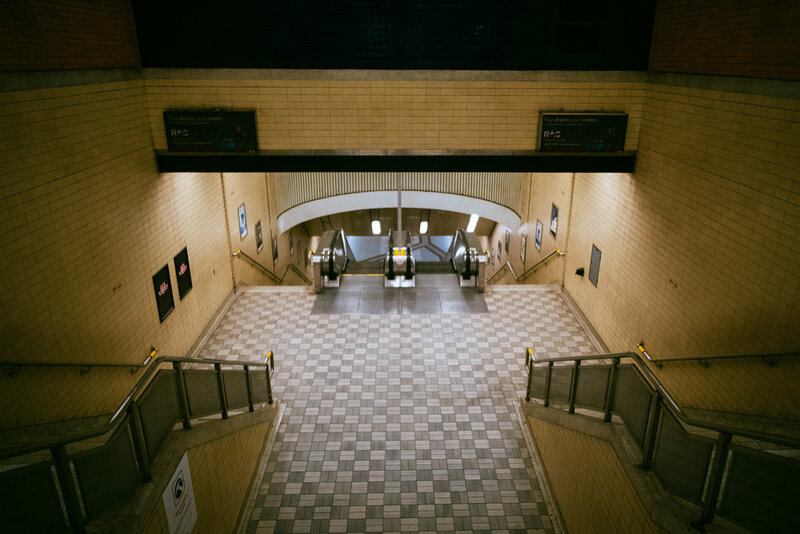 It's a great example of the grand symmetry that can be found throughout the TTC. 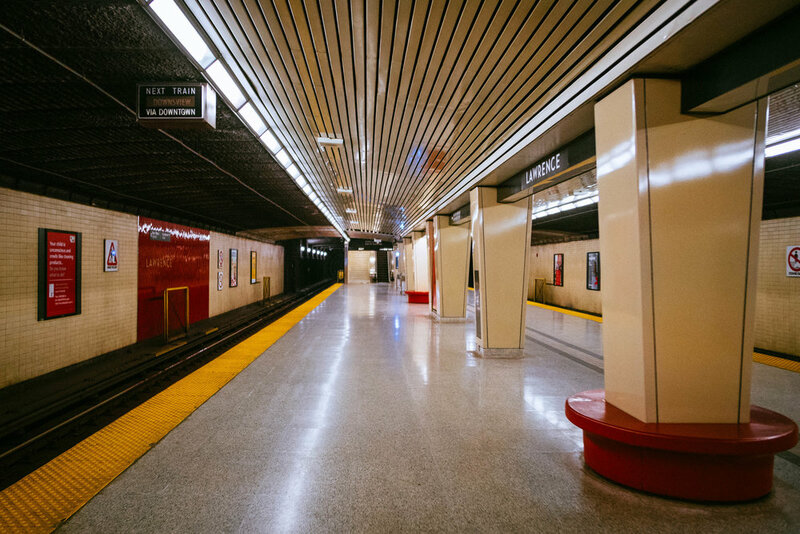 The next station is Eglinton.